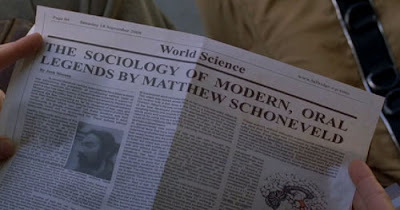 I can't believe this hasn't come up yet in this blog, but one of my favorite things to do is read the text in fake prop newspapers used in film and television. It's a relatively recent hobby, since only the advent of digital video disc players have enabled me to pause and zoom with the clarity to make out the text. It's amazing what wide variations there are in the kinds of things that wind up in the fake newspaper texts. Sometimes the production staff writes up entire fake news articles, sometimes it's just a single sentence over and over again, like the Onion's "onlookers were surprised by the amount of blood". The first time I ever noticed readable text was when I paused my VHS recording of an episode of Buffy. It was the one where Clea DuVall became an invisible girl, and was recruited by the government at the end. 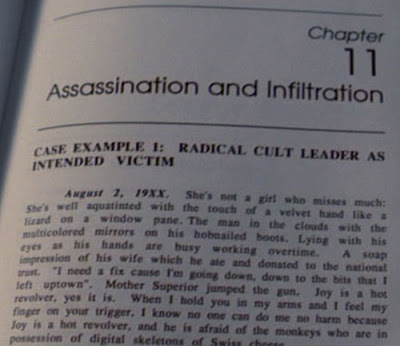 She opens her book on assassination, and the text is just song lyrics. Actually, you know what? I've got the DVD right here on the shelf, let me go grab an image. Yup, you're not reading things, those are the lyrics to "Happiness is a Warm Gun"
That's fun fake text, but my absolute favorite kind are the ones where some attempt seems to have been made to make up a fake story, but the attempt resulted in utter and complete failure. 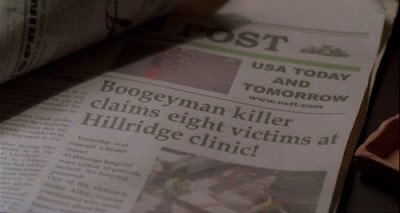 falling neatly into that camp are the headlines from a little film called Boogeyman 3: We Were Too Timid to Ask Tobin Bell To Come In And Do A Voiceover. That's right, it says "Yesterday was commit a brutal crime! At Hilarige hospital were killed 10 patients include the hospital personal! 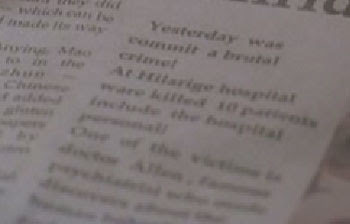 One of the victims is doctor Allen, famous psychiatrist who-" (after that it's too blurred). Then the daughter flops down another paper on top of the first one, revealing what's pretty clearly an actual news article, that the movie almost certainly didn't get the rights to. 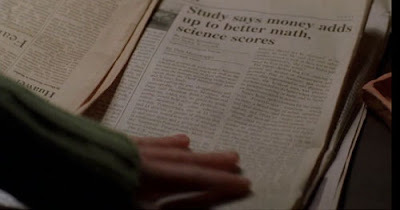 Later in the film the main character is seen reading a, um, newspaper? It's not really clear what's going on with this particular piece of paper. Is that a headline? 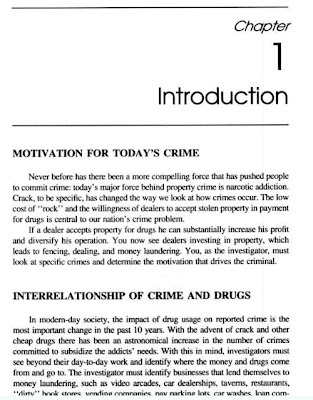 The title of a book? What's the comma doing in there? Are they only looking at legends created by Matthew Schonveld?